ASP.NET MVC Application Development – Why ? This means you can use in ASP.NET MVC applications the same APIs for security, state management, membership, caching, and so on that, you could use in traditional ASP.NET Web Forms applications. 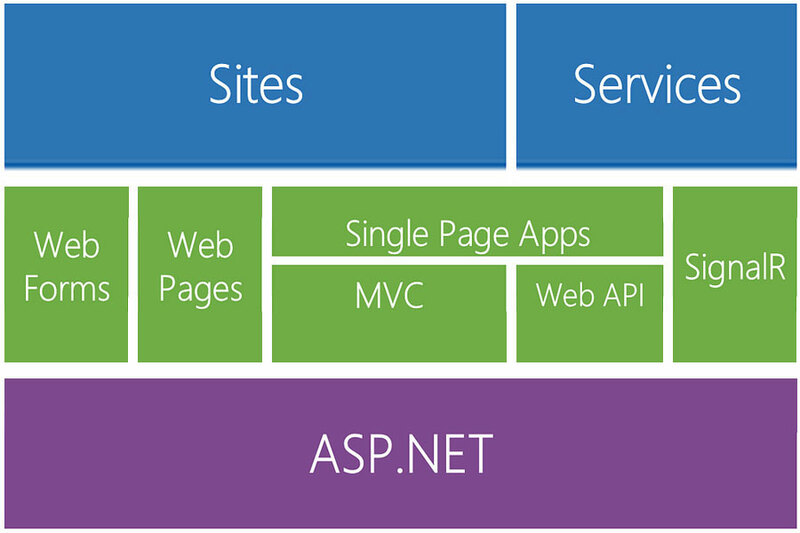 In the ASP.NET MVC world, many improvements to ASP.NET have been included in the framework itself. The main purpose of this design pattern is to isolate business logic from the user interface in order to focus on better maintainability, improved test-ability, and a cleaner structure to the application. Every ASP.NET MVC application has three core parts: a model, views, and controllers. In short, the model consists of all the classes that handle data and business logic. Data processing using model classes is initiated by the controllers that are in charge of user requests. Once the data processing is complete the controller creates a response to the user by sending the results to a View who then produces HTML to be rendered in the browser. • A high level of control over the generated HTML: Unlike Web Forms, Views in ASP.NET MVC render HTML exactly as you tell them to. Recently, Web Forms have been improved in this area but still don’t have the level of control MVC has. • Easier unit testing: With ASP.NET MVC, it is very easy to follow testing patterns such as test-driven development (TDD). Because of the complex event lifecycle in Web Forms, on top of a control-based framework, TDD is a lot easier with MVC. • Separation of concerns: This refers to having all aspects of the system clearly separated from one another. Because of the pattern it implements, an MVC application is divided into discrete and loosely bound parts (model, views, and controllers), which makes it easy to maintain. • The MVC pattern itself makes it easier to manage complexity by clearly separating the functionality of the application into three core parts, the model, the view, and the controller. • ASP.NET MVC web applications do not use view state or server-based forms. This makes the MVC framework ideal for developers who want full control over the behavior of an application. View state can become very large, which is a problem for devices like smartphones running over slow networks (transmitting all that information can be very slow). • ASP.NET MVC provides better support for test-driven development (TDD). • ASP.NET MVC works well for web applications that are supported by large teams of developers & for web designers who need a high degree of control over the HTML.